Duh, but The Smile Sessions, please! In The Key Of Disney for Brian Wilson. Please! I know, but for the sake of completion. Sooner or later the talk will die down on the main board.... right? Brian Wilson A&E Biography (1999) for the video section, please. A general suggestion to whoever starts a new thread in this section: try to make the poll results visible for everybody, not just those who've voted in it. How about the made for tv films- An American Family and Summer Dreams? What about adding The Smile Sessions and That's Why God Made The Radio to the Rank The Tracks section? Also, what about adding LIE by Charles Manson to the Produced By or Related To section? I think the request is on here somewhere, but how about a Rank the Tracks for TWGMTR??? 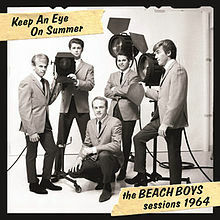 Keep an Eye on Summer: The Beach Boys Sessions 1964, released December 2, 2014. That children's book Al wrote about Sloop John B. How about "Here Today! The Songs of Brian Wilson"
What about a brand new section for recordings produced or otherwise contributed to by Brian? 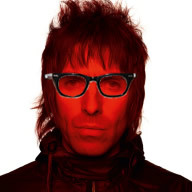 Hi, long-time UK lurker here, thanks for all the BB love and inside-info. Off the back of the recent news, I'm wondering about whether to invest in the Ricci Martin album - Beached. Liking the sound of the Amazon samples. Additionally, some of the most recent threads that have been created are missing the date, picture, and/or poll (e.g. Sunshine Tomorrow, Crowley's Carl biography). Edit: Also, perhaps, Bambu: The Caribou Sessions ? Cosigned! I'd especially like reviews of 1 and 3. Would also love to hear takes on Bambu. Powered by SMF 1.1.21 | SMF © 2015, Simple Machines Page created in 0.266 seconds with 22 queries.